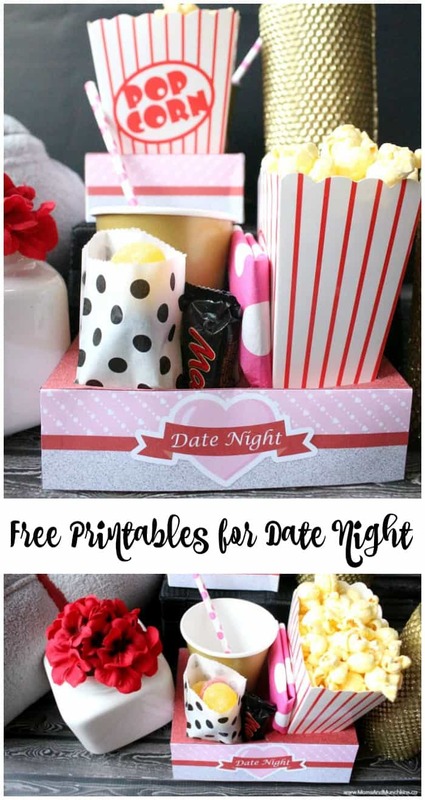 Planning a romantic date night at home just got a little easier with these cute free printables! 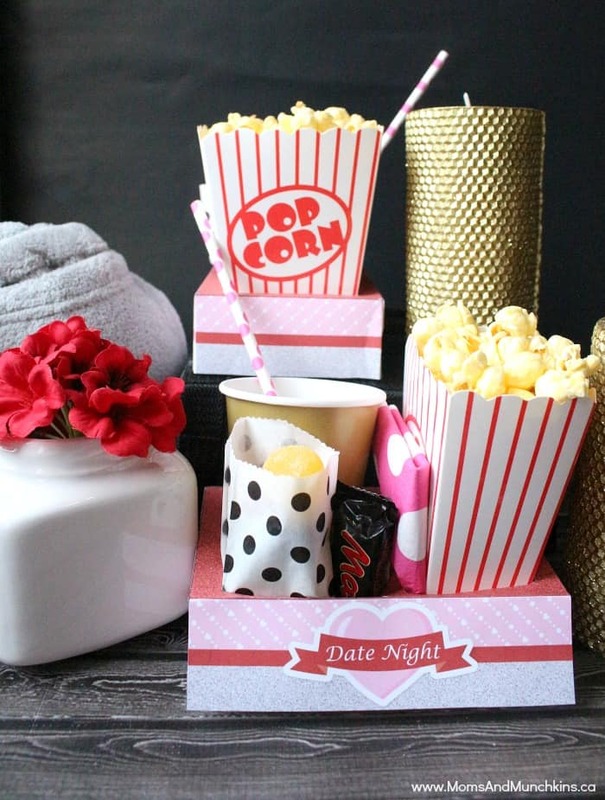 The movie night snack boxes are a fun little addition to a romantic movie night at home. 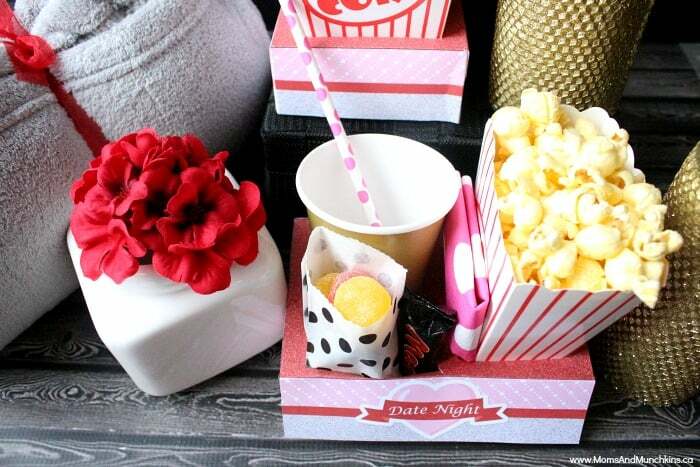 The boxes are designed to fit standard sized paper cups and paper popcorn boxes that you can find at your local dollar store or party store. 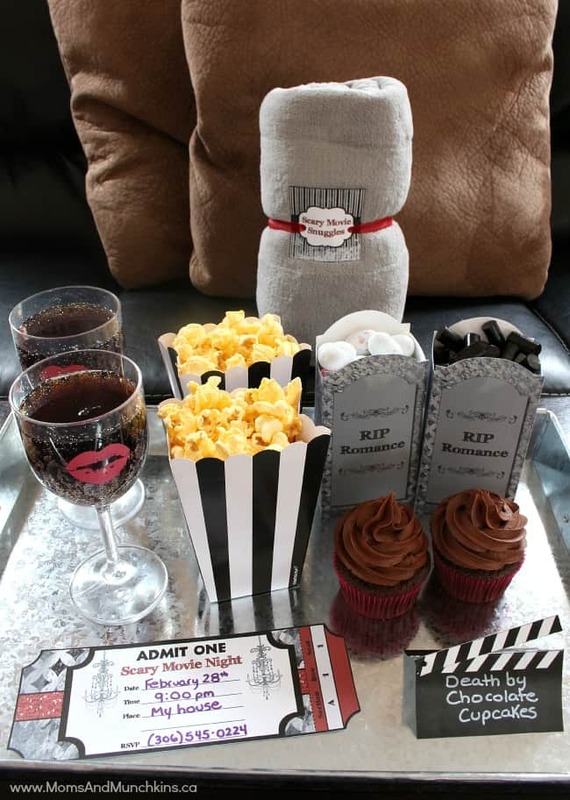 Visit our Date Night page for even more fun & FREE date night ideas! 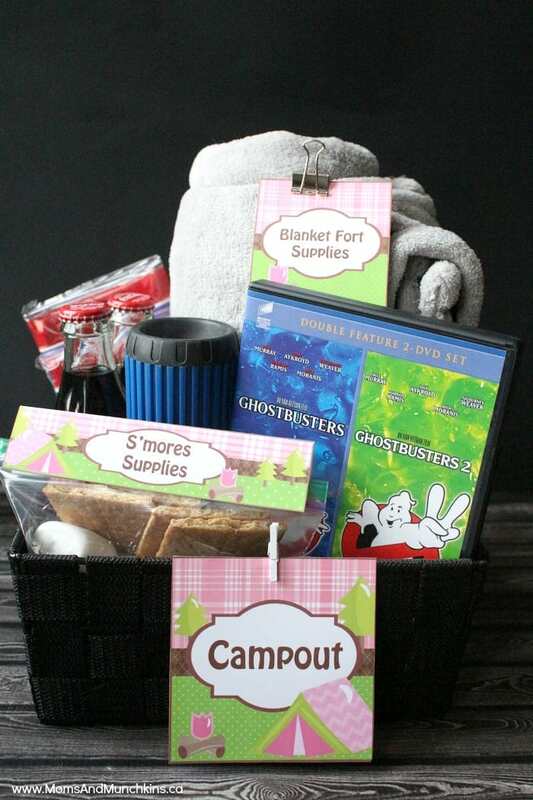 Two of our favorites are the free printable Campout Date Night and the Scary Movie Night printable set in our Etsy shop. We’re always adding new ideas for parties, family fun, recipes, date nights and so much more! Never miss an update by following us on Facebook, Twitter, Pinterest or see sneak peeks on Instagram. *Clipart courtesy of Erin Bradley Designs. Thank you to Wendy’s Printable Party for designing the printables for us!